EXCLUSIVE for Jane’s Insiders: Tickets include the play plus a glass of wine in a private reception area before the performance with the play's writer, Ken Kwek. Millions around the world are being pulled into the #MeToo minefield and the Time’s Up tsunami. This is a redefining period in our history, with numerous victims of sexual assault and harassment finding their voices as survivors and warriors. Then there are the many, many voices that are never heard, stories never told, secrets never shared, truths never revealed. Pangdemonium’s world premiere of THIS IS WHAT HAPPENS TO PRETTY GIRLS is one such story, with many sides, many secrets, and many truths, each one demanding to be told. It's a story of women and men who have not been liberated by the sea change, whose lives perch on the knife edge between damnation and deliverance. 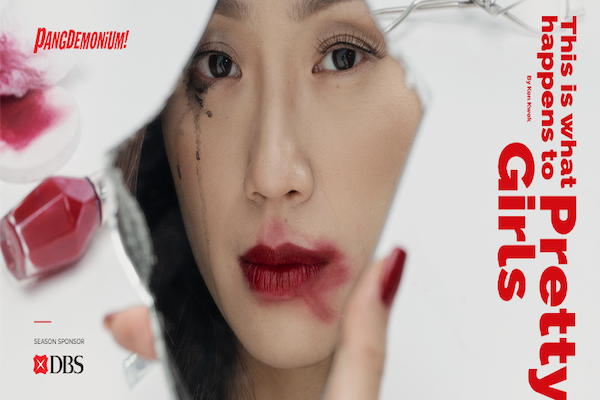 Playwright Ken Kwek (award-winning director of Unlucky Plaza) has conducted over 100 interviews, and drawn from true-life stories of sexual trauma and survival, to create a provocative, poignant and powerful piece of theatre for our times.